Legal Updates on the Family Code Philippines and relevant matters: HB 6699: Child spanking soon outlawed in RP? Is spanking a Biblically-endorsed way of discipline? Article 45 of Presidential Decree No. 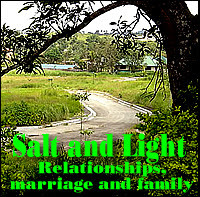 603 “The Child and Youth Welfare Code” states that parents have the right to discipline the child as may be necessary for the formation of his good character, and may therefore require from him obedience to just and reasonable rules, suggestions and admonitions.” This right to discipline includes corporal punishment which is moderate in degree. But House Bill 6699 “The Anti-Corporal Punishment Act of 2009”, principally authored by Tarlac Rep. Monica Prieto-Teodoro (wife of Defense Secretary Gilberto Teodoro) intends to prohibit the use of physical force to reprimand children, and deems as illegal verbal assaults and placing children in degrading or humiliating situation to correct their behavior. HB 6699 also covers corporal punishments in schools, institutions, youth detention centers, and the workplace. Penalties range from one month to six months imprisonment, or suspension of parental authority over the children. The bill is co-authored by 56 other representatives and is expected to be approved by Congress before the year ends. Rep. Prieto-Teodoro explained that although laws trying to protect children from violence are already in place, some of their provisions are unclear: “The present laws lack the explicit prohibition on the use of corporal punishment, especially in the home and family setting, except for children in conflict with the law and children in detention who are now adequately given protection and more humane treatment under the Juvenile Justice and Welfare Act”. A 2005 study by Save the Children showed that 85 percent of the children interviewed in cities of Caloocan and Cebu were being punished in the home, with spanking as the most common. Eighty-two percent said they were hit on different parts of the body. 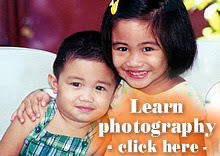 A recent data of Plan Philippines showed that 500 to 800 child abuses each year are committed by teachers. For more facts and statistics on child abuse, please surf to “Child Protection in the Philippines, Philippine Resource Network”. 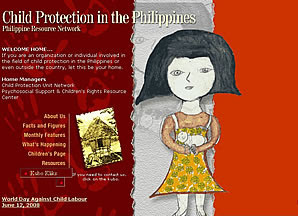 Though unofficial, this is the first website that features organizations in the Philippines, both state-run and non-governmental, that work on the issue of child protection. This is a project supported by the Arci Cultura E Sviluppo, Save the Children (UK) Philippines, and UNICEF Manila with the participation of 8 more organizations. This undertaking aims to present to the world the situation of abused children and the roles of these organizations in addressing the issues through the World Wide Web. With the proposed Anti-Corporal Punishment Act, children or concerned individuals may directly file complaints with their barangays, police stations, or local offices of the Department of Social Welfare and Development. Authorities are expected to file a case in the regional trial court, or if not conduct an investigation within 8 hours from the time they receive the complaint. Violators may face a month of imprisonment or suspension of their parental authority over the children, depending on the penalties provided by existing laws to protect children. If the penalty is just a month of imprisonment, the court prosecutor may just order the offender to attend seminars on children’s rights, positive and non-violent discipline, and anger management. Six months of imprisonment await those who will be found guilty of offenses under HB 6699 that are not covered by laws like the Special Protection of Children Against Child Abuse, Exploitation, and Discrimination Act (Republic Act 7610) and Anti-Violence Against Women and Children Act (RA 9262). Identifying the values and life skills that they want the child to adopt. Expressing affection and support (a hug, a pat on the back, or appreciating their accomplishments), but at the same time giving clear guidelines for their behavior. Understanding how children think and feel. Discussing the problem with the child and identify effective approaches to solve it. Listening carefully and helping children learn the use of words to express their feelings. Becoming a good example on how to react when faced by undesirable situations. 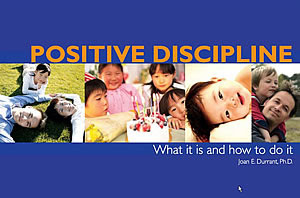 The Child Rights Information Network provides a 2.1 MB, 356 pages long PDF download from Dr. Joan E. Durant on what positive discipline is all about. 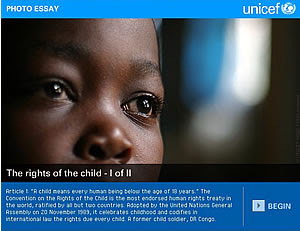 CRN also provides “A to Z of child rights” available in English, Arabic, Spanish, French and Russian. The United Nations Committee on the Rights of the Child defined corporal (from the root word corpus, referring to body) as any punishment in which physical force is used and intended to cause some degree of pain or discomfort, however light. However, other forms of punishment may also be considered corporal punishment even if they re not physical in nature. They are word and actions that belittle, humiliate, denigrate, threaten, scare or ridicule the child. 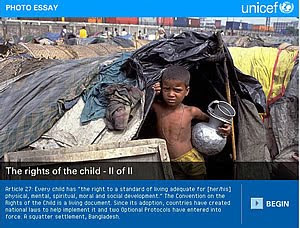 The UNICEF website provides photo essay on the “Rights of the Child” (Part I and Part 2). It also provides a helpful article “Definition of key terms” and a PDF download of children’s rights. Is spanking a Biblically-endorsed way of discipline? I am strongly opposed to violence or abuse against children. Fundamentalist and evangelical Christian parents who do believe in spanking would also affirm that they are opposed to violence or abuse against children. “Spanking” understood and implemented correctly is a form of loving discipline that the Bible endorses. 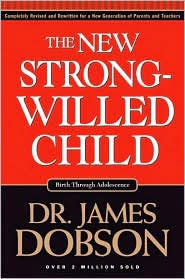 Dr. James Dobson of “Focus on the Family” has ably and eloquently articulated the bases for spanking as a form of loving discipline in his books “The New Dare to Discipline” (read a sample chapter) and “The New Strong-Willed Child” (read a sample chapter). (3) Discipline must not be harsh and destructive to the child’s spirit. In his printable article titled “Approaches to Discipline”, Dobson discusses issues such as Does Spanking Work for All Kids? ; To Spank or Not to Spank; When Kids Run You Over; Handling Disrespect; and Behavior and Consequences. What is the most common error made by parents in disciplining their children? Should I discipline my child for every little thing he does wrong? How do you discipline a difficult teen? 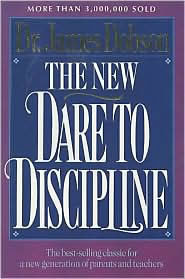 At what age should discipline begin? Should parents with abusive tendencies avoid corporal punishment? What specific Scripture verses do you base your views of discipline on? Is it healthy to spank a child? 1. What should our stand be towards HB 6699? While we believe in spanking as a Biblical form of discipline, fundamentalist and evangelical Christians must also take a strong stand opposing violence and abuse against children. Instead of a complete repeal, Article 45 of Presidential Decree No. 603 “The Child and Youth Welfare Code” allowing corporal punishments as long as these are “just and reasonable” and “moderate in degree” must be clarified or fine tuned instead. 2. Churches, numbering perhaps in the hundreds, have established schools based on the School of Tomorrow program. As I have been told by several school administrators, part of the SOT’s requirements is that parents must sign a document allowing teachers to spank misbehaving children. On the contrary, someone who claimed to be an SOT consultant told me that such is not a requirement of the SOT and that it is up to the schools to ask parents to allow the spanking of their children by the teachers. The person exercising substitute parental authority shall have the same authority over the person of the child as the parents. In no case shall the school administrator, teacher or individual engaged in child care exercising special parental authority inflict corporal punishment upon the child. The phrase “in no case” means that even with the SOT document signed by the parents, teachers are not allowed to spank the students. I have always said that if the students needed to be spanked, the school administrators should call the parents who will do the spanking themselves. 3. Have the provisions of the Family Code on parental authority, specifically Articles 209 to 233, already repealed Article 45 of Presidential Decree No. 603 “The Child and Youth Welfare Code”? These articles do not mention anything about the right of parents to discipline their children as PD 603 provides. Large portions of PD 603 have been repealed or modified by the Family Code of the Philippines and numerous other laws. In our legal system, however, implied repeals are frowned upon and therefore, it can be argued that Article 45 of Presidential Decree No. 603 is still good law.